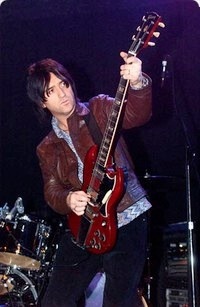 The guitar, a 1964 SG in cherry red would normally be worth around UK £6,000 but the prosecutor in this case forwarded an estimated value of £30,000 because of the link with Marr. The thief has said he was “disgusted with himself” and has been sentenced to 200 hours of community service. Marr is reported to be happy to have this guitar returned.